A plant has a huge need for phosphorus (P) and potassium (K) during the flowering period and if we are able to meet these as a grower, the plant will reward us! This has ultimately resulted in PK 13-14. Phosphorus (P) among other things causes a faster cell division in the flower bunches, which makes them increase in size. Phosphorus also plays a crucial role in the metabolic processes of the plant. Potassium (K) is a significant contributor to an optimal sap flow in the plant. It causes the plant to develop a thicker stem and sturdy branches, which ultimately will result in a better harvest. Potassium also stimulates the sugar production in the flower bunches, from which the smell and taste of the final product will benefit. The combination of phosphorus (P) and potassium (K) ensures a golden ratio and is thus indispensable for a good harvest. In this regard, the PK 13-14 is a must for every flowering plant. It is suitable for all substrates, directly absorbable by the plant and contains no ballast substances. 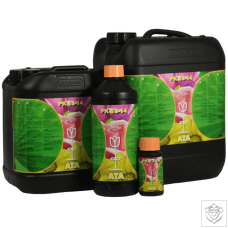 PK 13-14 also ensures a healthy root system and is suitable for all crops on soil, hydro and cocos. 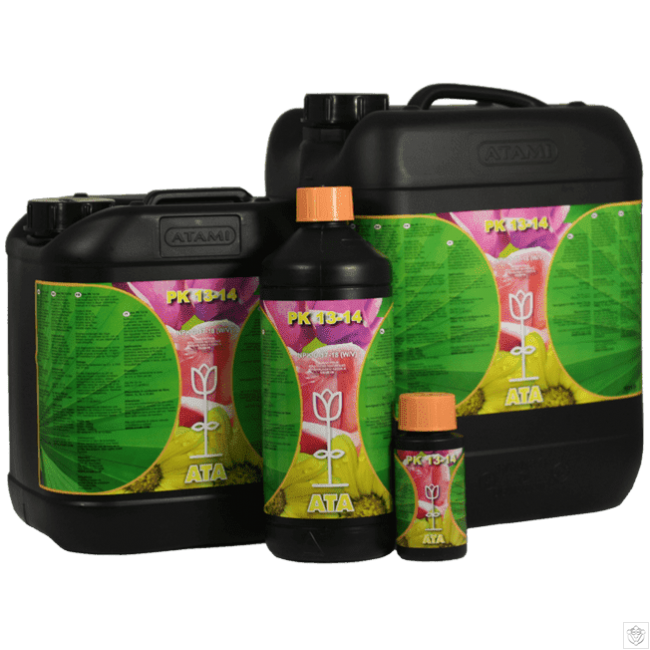 Suitable as an extra addition to the regular NPK-nutrition for growing on soil, hydro and cocos. Add to the nutrient solution from the 1st week of flowering. Can be used daily for the irrigation of the crop during the flowering period. The last week before the harvest you flush the substrate with water and enzymes. Slowly increase the PK 13-14 dosage. Thus the plants get used to it and the best results are achieved. 2,5 ml - 15 ml per 10 liter of nutrient water.